Blogging can sometimes be cumbersome, especially at some point when you run out of steam, which eventually you will. Trust me, it will happen, even to the best of them. So what will you blog about when this occurs? Do you have any contingency plan? It always pays to have a backup plan ready for any eventualities, and running out of ideas is something that you really need to watch out for. Here are some fresh ideas you can pick upon and incorporate in your blogging approach. 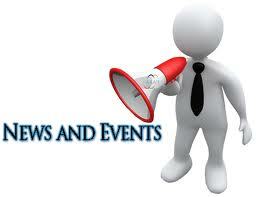 Being a business owner entails that you be abreast with the latest news and trends about the industry. You can put this advantage to good use by blogging about what is upcoming and new. This gives you the opportunity to be a resource person and you can even give your insight about the news event to your readers. Observe what leaders in the industry are referring to or that have a huge number of interest and write about that (knowing that if it’s an appropriate subject like the World Cup, your material won’t possibly rank or likely ever be seen before the attention drops). Volume wise, you’ll be blogging to entice guests and in case of authorities chatting, you’ll likely be blogging mainly for links so it will have to be more reliable. Write about changes in the industry, product and services launches, etc. For example, while an upgrade to Google Chrome may not straightly affect our approach to SEO, it’s relevant by its effect on our website visitors, so it is definitely a topic worth blogging about. 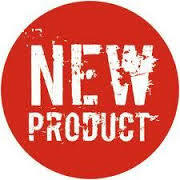 Product and services launches are great topics to blog about, even if these are from your competitors, why? It will absolutely give you the advantage of knowing where your position is as with regards to your competitors. Blogging about this topic will give your readers insight about (clears throat) how well you can address the competition without sounding all sour and insecure about the whole thing, which if done properly, I believe will result in better audience confidence in you! There you go, I hope you can incorporate this tip in your blogging approach. Tell me what you think? You can leave a comment below. If you want to learn more, ask me now. This entry was posted in online marketing tips and tagged article marketing tips, blogging, blogging tips, content marketing, generate cash online, internet marketing, online marketing tips, successful branding, website, work from home on September 28, 2014 by Steve Mack. If you’re like most internet marketers, you want to be always in the loop regarding the newest and trendiest online marketing strategies. It’s easy to understand why, the online community, most especially those who do their shopping online have become more finicky over the years, thus affecting the way online marketers do their marketing strategies. In my ongoing effort help provide what I do believe (based on extensive personal experiences) as the best and most effective marketing strategies, I’ve compiled a list just for you. Who doesn’t own a Facebook account these days? Or a Twitter? Or a Pinterest perhaps? Let’s face it, the influence of social media on our society and life in general has become undeniable. 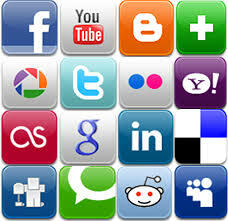 We look to Facebook for the newest trends or happenings. The same holds true for the rest of these social media networking sites. So if you want to be on the forefront of things and have your site up there, visible and attracting traffic, better make use of these platforms now and spread the word out about your item or product. Companies nowadays establish authority and gain the trust of a lot of consumers by continuing to develop and strengthen the value of their content through a variety of programs. This generally includes appropriate information about the market that provides understanding or enjoyment to any viewers. Doing so allows a company to continuously build relationship with its market and create a faithful following. On blog posts? The average images should be around 3-4 for articles with 400-500 words in it. The reason? Easy, it’s a little bit boring just reading plain text in an article. The images serves as breakers and breathers and spice up the overall look of the content. If you can keep these marketing strategies in every posts and articles you put out, I bet you’ll have a definite success! This entry was posted in online marketing tips and tagged article marketing, article marketing tips, attraction marketing, blogging, content marketing, generate cash online, making money online, marketing tips, social networking, successful branding, website, work from home on September 27, 2014 by Steve Mack. If you’re wondering how to build residual income with zero startup capital, this is for you. There are sources of residual income that don’t require any startup capital at all, all you need is time and a lot of creativity. 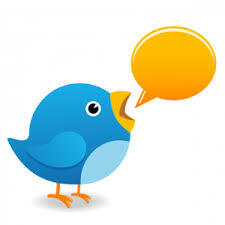 You might be wondering how tweeting can produce residual income. Well, you can generate some re-occurring earnings from your Twitter posts. For this to work well you’ll need a Twitter account with a lot of involved followers. There are organizations out there that will pay you to sponsor a twit update to all of your followers. There are even services that will publish the tweets if given the power to do so. Can you put together a write-up that provides a concept that’s useful to your readers? Consider writing for other websites. There are some websites that will pay you an advance fee as well as give you the chance of some residual income from the continuous page views that your article produces. 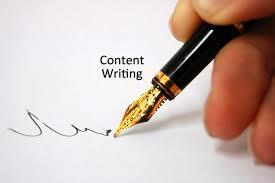 Content is often one of the first re-occurring earnings concepts tried by those just getting their feet wet in making additional money using your laptop or computer. 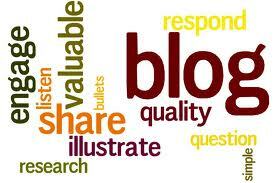 Looking for something a little more versatile, why not try composing your own blog content. This is probably one of the most convenient residual income ideas to begin with. You can get started for 100 % free on websites like Blogger and Word Press. 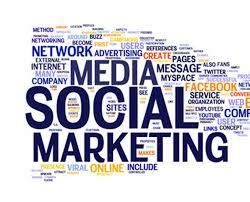 Some of them like Blogger even have marketing possibilities designed right into the system. It’s simple, as simple as clicking a few buttons. Keep in mind though, that developing an audience base or following is what will help you earn and sometimes this needs time. Nowadays having a camera is very common, even if it’s the one on their cellphone. Did you know you can take images and publish them on websites on the market? Some will let you just publish the image and pay you for web page comments when individuals come to see your work. There are thousands of different methods to do this. I’ve seen marketing websites that are designed toward a particular item classification with affiliated links to the provider. One of the most well-known methods individuals started as an online marketer is to be a part of Amazon’s affiliate system. You can choose the items right off of Amazon’s site and they make a link and some system code for you to duplicate in your web page. Starting is simple, but like writing a blog, making a system of individuals that want to come to see what you have to provide is where the work is. 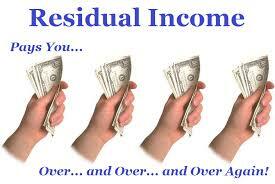 Once you get there you can generate some of that residual income. 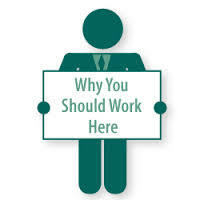 Do you want to start building residual income now? This entry was posted in online marketing tips and tagged business opportunities, generate cash online, online marketing tips, recurring income, residual income, residual income ideas, residual income tips, successful branding, work from home on September 13, 2014 by Steve Mack. 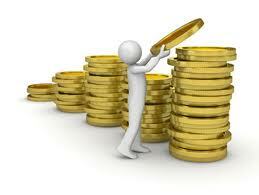 Do you have Recurring Income? Let me get this question out right away “do you have recurring income?” if the answer is “yes”, good for you, definitely you are experiencing the benefits and advantages of having one. However if “no” is the answer, well now is the time to start one. 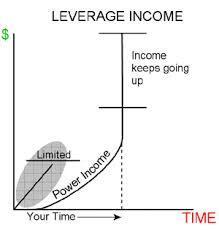 Recurring income is defined as an earning that keeps coming at a regular interval even after the work has been long gone. It also does not need your immediate participation. Some types of recurring income you may be acquainted with consist of having property, royalties on a creative or innovative work, and multilevel marketing. If you want to earn more, work less, and have a reasonable pension, you’re going to have to begin developing earnings sources that do not need your immediate participation. Whether you’re just setting up your business, or you’ve been working at it for a while, the earlier you begin considering how you are going to move your company structure to make more recurring income, the earlier you can accomplish personal and financial independence. Let’s look at two primary types of recurring income, and a third type of earnings that, while officially not recurring, is a key way of making more and working less. An insurance broker who gets percentage every year when a client renews his policy. A network marketer or multilevel marketing rep’s earnings from her immediate customers when they reorder product every month. An aerobic exercise trainer who produces an exercise video and offers it at the fitness center where she teaches. 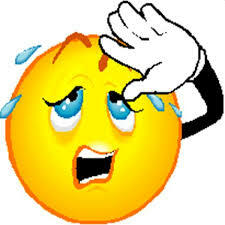 A system professional who develops a system and gets income on the product sales made by individuals in his down line. Now is the time to think about how to implement this in your business. Can you create an item that individuals will buy over and over again? Can you interact with others to offer your product? How could you generate income off the work of others? The earlier you answer these concerns, the earlier you’ll have economic and individual independence. If you want to build residual income, join us now! This entry was posted in online marketing tips and tagged blogging, leverage income, online marketing, online marketing tips, passive earning, passive income, recurring income, residual income, website, work from home on September 13, 2014 by Steve Mack. 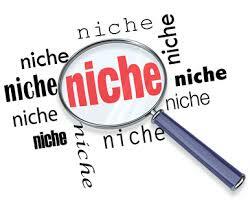 Knowing who comprises your marketing niche will make for a very efficient and laser-type target marketing plan. This will result in a more fulfilling online marketing strategy that will remove the unnecessary overhead expense of trying a shotgun approach in locating your target market. It will also save you the frustration of wasting your precious and valuable time, especially if you are setting up a time table for your marketing approach. 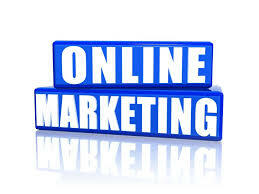 The most common misconception about on the online marketing is that if you build it they will come or that having a web based business will make you wealthy. The reality is that you have to discover your specialized industry or marketing niche, provide products or services that they’re looking for and get them to come to you, in order reach a level of financial success online. Defining your specialized industry or marketing niche before you embark on your web marketing strategy is important for the following reasons. 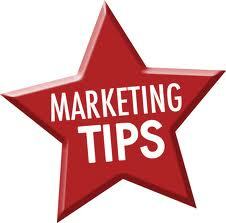 You have the ability to maximize your promotion budget by targeting your preferred prospects. You’ll know exactly where to advertise. You’ll know where to look to discover blogs and related sites that are catering to your industry. This gives you a place to start. Your web page can then be optimized for Google so that your specialized industry or marketing niche can locate you. You are able to fine tune your web page to your specialized marketing niche. You can create your site to guide your viewers and help them discover solutions or items that you provide that are particular to the problems that your specialized industry activities. 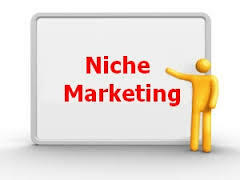 A defined marketing niche makes it much easier to create ideas for new items or services that inherently appeal to your particular industry. You have an upper-hand in establishing yourself as a leader in your industry. Knowing your marketing niche is very important, it will brand you as a very efficient and a very knowledgeable online marketer. 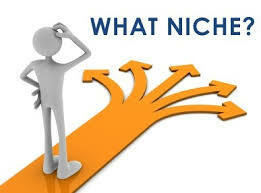 Try to write down and make a list of your most preferred marketing niche now and start formulating your marketing strategy based on the result, you might be surprise at how the good result is going to be. This entry was posted in online marketing tips and tagged blogging, business opportunities, marketing niche, marketing strategy, marketing tips, social media networking, successful branding, web marketing, work from home on September 10, 2014 by Steve Mack. If you were able to catch the sales pitch write up awhile back, let me reinforce that with this article. You might be wondering why the follow up? 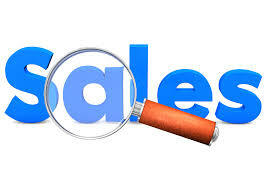 Sale pitching is crucial as it determines whether you will sell or not. Even if you have a not-so-great product but if you know how to sell it, that makes a world of difference. In an effort to cinch a sale quickly, we sometimes misconstrue (although not necessarily on purpose) some facts about our products. We will make bold claims and try to move heaven and earth about how wonderful our product is. This not a good and will never be a good sales pitching technique. It pays to be truthful, remember, we’re aiming for repeat customers too, not just a onetime deal, so be truthful. If you want your sales pitching technique to be effective, you should inform. Inform about the product, its benefits, advantages, why they should patronize it, and anything that will be useful in shedding light about the product. 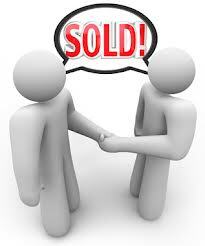 One pitfall to a successful sales pitching is the lack of eye contact or even poor eye contact. Connecting with your clients through eye contact is crucial. They get to see if you’re sincere or not. You make the connection when you look them in the eye. 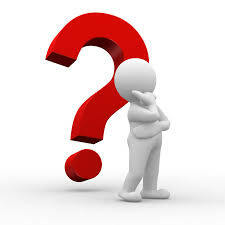 Also, it’s a prudent advice to ask any question once a fact or information has been shared with the clients. This immediately erases any doubt that might creep in their minds. Fact: There will be objections, no doubt about that; there will always be something to differ and to criticize about your product. Knowing how to successfully address an objection respectfully is a sign of a good sales pitching technique. 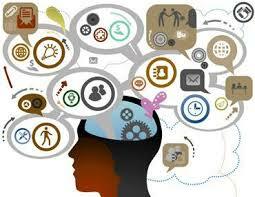 Be objective when addressing any objections, remember, it’s not personal. Good sales pitching technique can be practiced and learned until perfected, but always remember one tiny detail, don’t make it sound like one! This entry was posted in online marketing tips and tagged blogging, conversation, sales marketing, sales pitch, sales pitching, sales pitching tips, social networking, successful branding, web marketing, work from home on September 9, 2014 by Steve Mack.